Individual therapy involves a relationship between an individual and a professional who is trained to assist the individual discover new ways to help them feel unstuck, feel at peace with their current circumstances and to experience personal growth. I work one on one with an individual in a confidential and caring environment to explore their feelings, beliefs and behaviors. Together we work through challenging aspects of their life, set personal goals, and work towards creating the desired change. My treatment of choice when treating couples is Emotionally Focused Therapy (EFT). EFT helps couples find new cycles of bonding that replace negative cycles (for example: pursue-withdraw or criticize-defend). Once positive cycles of communication are created the relationship fosters a secure and healing environment between the partners. At times in individual psychotherapy a client may agree to bring a family member into the session to provide information or insight about the client.Other times, I treat the family as a whole. Family therapy can be very beneficial because usually any given issue that brings a client to seek treatment is a systemic problem. While providing family therapy I remain neutral and help the family in understanding one another's perspectives and give them tools to effectively communicate and resolve/cope with their problems. 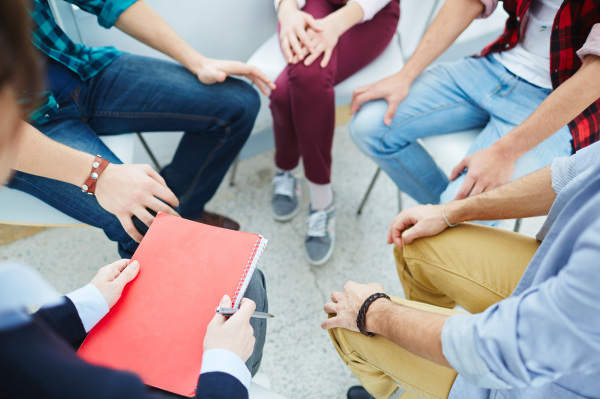 With a group you process your feelings and discuss your current stressors with a group of individuals who are dealing with the same or similar difficult situation. The group therapist provides guidance, psychoeducation and support. Group memebers report feeling validated, understood, and not alone. Having your feelings normalized can be emotionally healing. At times individuals have reservations about attending group psychotherapy. However, when it is conducted effectively it can be very beneficial to the client. Clients are not obligated to speak or share their personal experience. They can simply participate by being an active listener.